I bought my plane tickets last night so it's official, I'm heading west to visit Clint at Copper. It's been so long since I last was in CO that back then they didn't yet allow snowboarders at Arapaho Basin. Luckily it's not '94 anymore, and we snowboarders aren't banned from anywhere anymore, and certainly not from Copper. 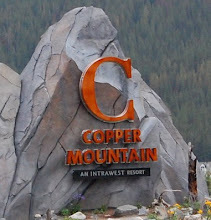 It's a great resort from what I've heard and I can't wait to check it out. 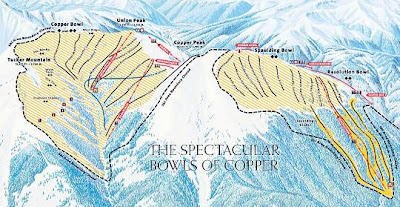 By the time I visit the back bowls should be open which is sure to be a blast. Also sure to be a blast is camping out on Clint's dorm room floor for a week. Should be interesting, I'll keep you posted. I'm headed out the last week of February so expect some pics and posts.